Joan Baez is a bona-fide member of The Rock And Roll Hall Of Fame. While the title may not fit her musical style, the honor is appropriate. She was an essential part of the folk revival movement and like or hate her politics; she has influenced the society and culture of the United States through her voice and music for the last half century plus. She has now returned with her 25th studio album. Whistle Down The Wind is a nostalgic, poignant, and yearning release. The edge to her music is a little more subtle than in the past. Her acoustic guitar playing seems to have acquired a nice patina with the passage of time. I have always thought she does not compose original material enough. Here she presents 10 songs by other artists and she has chosen well as she brings her experiences to each and transforms them into her own creations. The title song by Tom Waits and Kathleen Brennan finds her looking back at life. “Be Of Good Heart” is a sweet remembrance of a past relationship. Mary Chapin Carpenter’s “The Things We Are Made Of” is a thoughtful and laid back tune of independence. “I Wish The Wars Were All Over” returns her to one of the themes that have dominated her music and life. “The President Sang Amazing Grace” is a response to the shootings in South Carolina. As with any Joan Baez album, there is always a focus on her voice which continues to have a purity virtually unmatched. Whistle Down The Wind may not have the power of her earlier releases but it is an album of music that fits where she is in life, and her that is enough. Joan Baez was one of the seminal figures in the 1960s folk revival movement and for a half century has remained true to her craft. She has remained a social conscience for three generations and counting. “We Shall Overcome” was originally an African workers protest song from the early 1900s. It has become a standard and traditonal folk song in the United States. 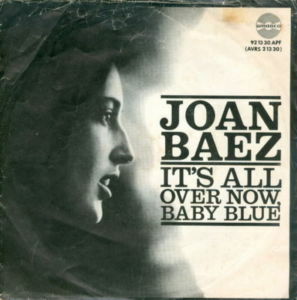 It was also Joan Baez’s first chart single. It appeared on the BILLBOARD MAGAZINE Pop Singles Chart on November 9, 1963 at number 90. It then fell off the chart never to return, making it a one week wonder. It didn’t matter as a lot of great Joan Baez music would follow. 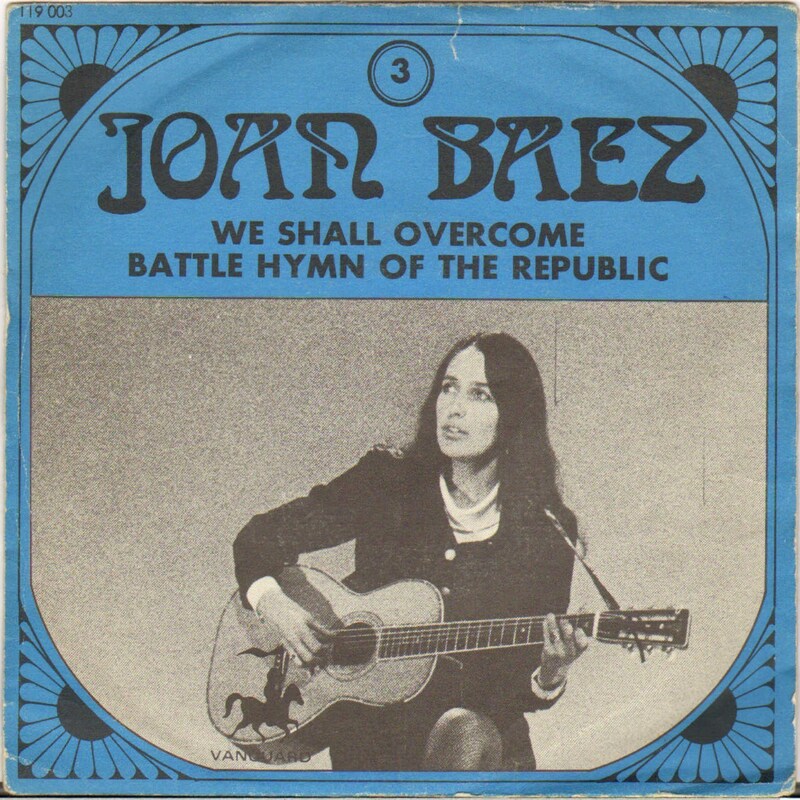 Joan Baez was a key figure in the American folk revival movement of the 1960s. She has also been in the forefront of social causes for the last half-century. While her popularity peak was during the 1960s through the mid-1970s, she continues to record and perform live down to the present day. 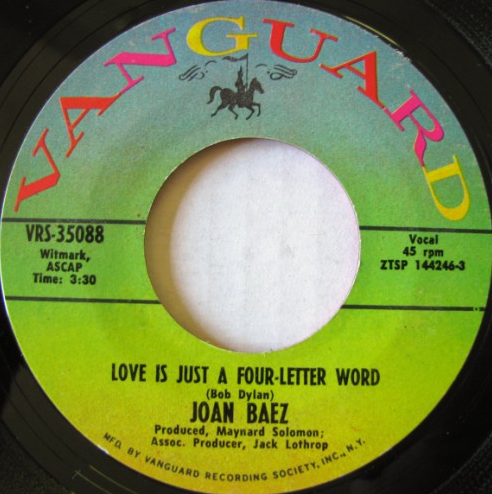 “Love Is A Four Letter World” is a Bob Dylan composition that I don’t think has ever been recorded by him. It is a song that has always been associated with Baez, who first issued it as a single during early 1969. It spent four weeks on the BILBOARD MAGAZINE Pop Singles Chart and peaked at number 86. The song has since become an iconic Joan Baez tune. It has appeared on a number of her albums and is still a part of her stage act. Whatever your opinions on Joan Baez’s political views and social activism, there is little doubt that she has been one of the important figures in American folk music for the last 50 years and the possessor of one of music’s all-time purest voices. Her coming out party was the 1959 and 1960 Newport Folk Festivals, the first as Bob Gibson’s unscheduled guest and the second as a solo performer. Just after her second appearance, she traveled to New York City to record her first solo album. She spent four days making the album in the ballroom of the Manhattan Towers Hotel, where many Vanguard label artists recorded due to the room’s live-feel acoustics. Released in October of 1960, it enjoyed little commercial success until two years later — once Baez had become a star — when it began a 140-week run on the Billboard Magazine Pop Album Chart. Her self-titled debut was a typical folk album of the day. It consisted of 13 traditional folk songs, including “Silver Dagger,” “House Of The Rising Sun,” “Donna Donna,” “Wildwood Flower,” “Rake and Rambling Boy,” and “All My Trials.” The focus lay squarely on her voice as Baez provided the only instrumental accompaniment with acoustic guitar, save for some added acoustic playing by Fred Hellerman of The Weavers on several tracks. It’s nice to have this historic album back in circulation. It has been reissued a number of times, in fact, and they all suffer from a little distortion on the high notes; this release is no exception. Since this is an ongoing problem, the issue is probably located in the source tape, which may well be the one used to create the original vinyl LP. 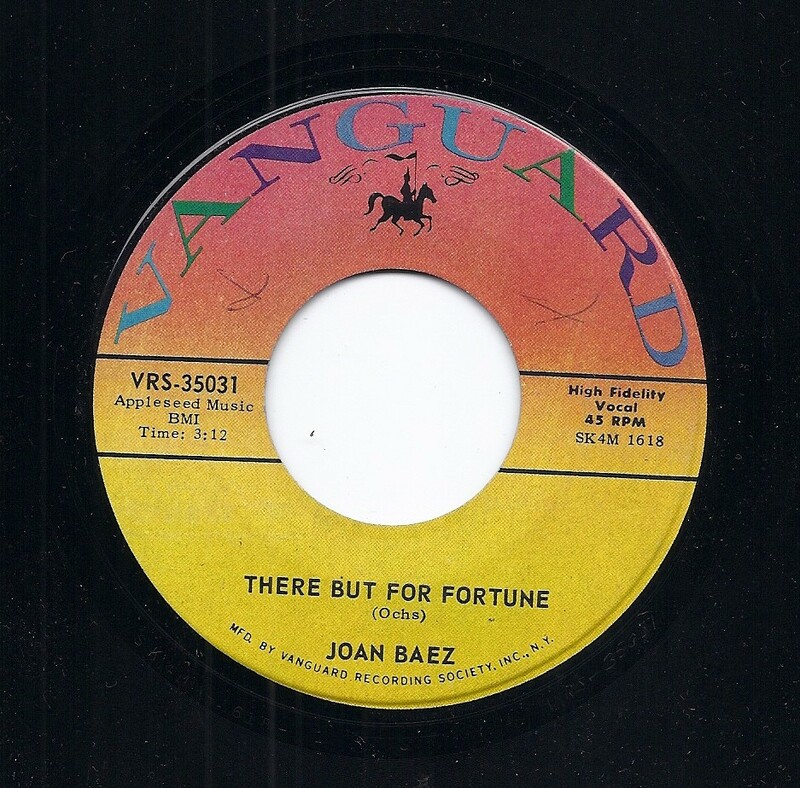 Ten bonus tracks included on this newest edition are essential for any Joan Baez fan — or collector of American folk music, for that matter — as they include performances that predate the release of her official debut. In 1959, Boston booking agent and concert promoter Manny Greenhill issued Folksingers ‘Round Harvard Square in a limited quantity on the small Veritas label. The album showcased the growing folk scene in the Boston area. It featured six solo performances by Baez, four each by local folksingers Bill Wood and Ted Alevizos, plus four duets between Baez and the men. All 10 of the Baez tracks are included here. As far as I know, this particular collection of recordings has never been officially issued on CD. It was briefly reissued ’60s on vinyl in the ’60s, but through legal action Baez forced the set to be withdrawn and has never since consented to its release. Music falls into the public domain 50 years after its original recording, however, which has resulted in these performances once again seeing the light of day. The sound of these 10 tracks is fine considering they were recorded in a tenement basement over a half century ago. The type of material is similar to her official debut but, interestingly, there are no duplicates. “Banks Of The Ohio,” “O What A Beautiful City,” “Sail Away Ladies,” “Black Is The Colour,” “Lowlands,” and “Virgin Mary (What You Gonna Call Your Pretty Little Baby)” were likely all part of her live act at this early stage of her career. Bill Wood was a local folk singer and a Harvard undergraduate, while Ted Alevizos was a member of the Harvard faculty. Both have long since disappeared from the music scene, but they could sing, and here they leave their mark in these studio performances with the then-18-year-old Baez. The Debut Album Plus is an essential early ’60s release. The music may underscore a simpler time but it remains historically significant, particularly in light of the turbulent era in which the U.S. would soon be immersed. 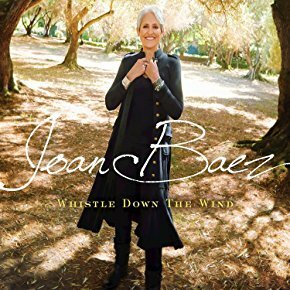 Article first published as Music Review: Joan Baez – Joan Baez: The Debut Album Plus on Blogcritics. Joan Baez was an important part of the early sixties folk revival in The United States. She was also an early confidant of Bob Dylan. She would record many of his songs dwon through the years, sometimes even devoting an entire album to his work. It was always interesting to have her clear and precise vocals interpret his work as it put the focus squarely on the lyrics. During the early part of his career he gained popularity from her interpretations. “It’s All Over Now Baby Blue” was originally released on Dylan’s BRINGING IT ALL BACK HOME album. Her cover is traditional but her vocal work during this part of her career was mezmerizing. It unfortunately did not receive any chart action but did come in a rare picture sleeve. Joan Baez was a seminal figure in the early sixties folk movement in The United States. She first gained attention through her appearance at the first Newport Folk Festival in 1959. She has one of the purist voices in music. Her clear soprano appears effortless and the tone is crystal clear. Her interpretations of Bob Dylan compositions help to gain him gain some early fame. On September 11, 1965 she released her version of the Phil Ochs tune “There But For Fortune.” While it only reached number fifty on THE BILLBOARD MAGAZINE singles charts it was a unique and poignant interpretation. During the seventies she would move on to a pop sound but would leave behind a wonderful folk legacy including this old Phil Ochs tune. Joan Baez was a seminal figure during the early ’60s folk revival movement in the United States. She burst upon the national scene as a result of her performance at the 1959 Newport Folk Festival. Her first three albums, Joan Baez, Joan Baez Vol. 2, and Joan Baez In Concert all received gold record awards for sales. Her ’60s material revolved around traditional folk songs. As the ’70s progressed her sound became slicker and more polished. What did remain was one of the purest voices in music. Her angelic and clear soprano vocals remained a formidable instrument. The mid to late ’70s would find her releasing a series of excellent and well received albums. The live From Every Stage, Gulf Winds, Blowin’ Away, and Honest Lullaby all had strong points as they fused pop and folk music. None of these releases would be as good as the 1975 album which preceded them. Joan Baez was mainly an interpreter of other artists’ compositions but here she stepped forward and wrote four of the tracks herself. Her title track is practically worth the price of the album alone. It revolves around a phone call from an old lover which takes her ten years back in time. Her poignant imagery is so clear I can virtually see her cold breath hanging in the air. You are currently browsing the archives for the Joan Baez Reviews category.